A recently widowed farmer (Jameson Thomas, The Pleasure Garden) decides to remarry, but he encounters numerous problems as he tries to find a wife in his village. 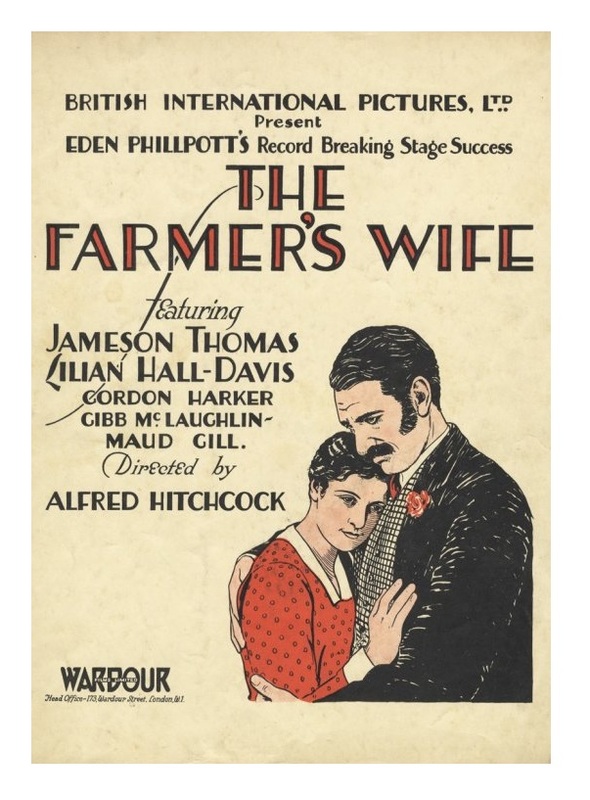 It takes the farmer quite some time before he realizes that his housekeeper (Lillian Hall-Davis, The Ring) is the kind of mate he is looking for. Alfred Hitchcock spent most of his early career under exclusive contracts that forced him to do multiple films per year. That’s why he often found himself in the position of accepting jobs that didn’t interest him. The Farmer’s Wife was one of those assignments. Based on a popular play of the era, this silent bucolic comedy of manners is an odd thing to find in Hitchcock’s resume. The material is hopelessly dated, but Hitchcock does manage to create a few memorable moments — Hitch gets the tone right and handles the slapstick well enough. 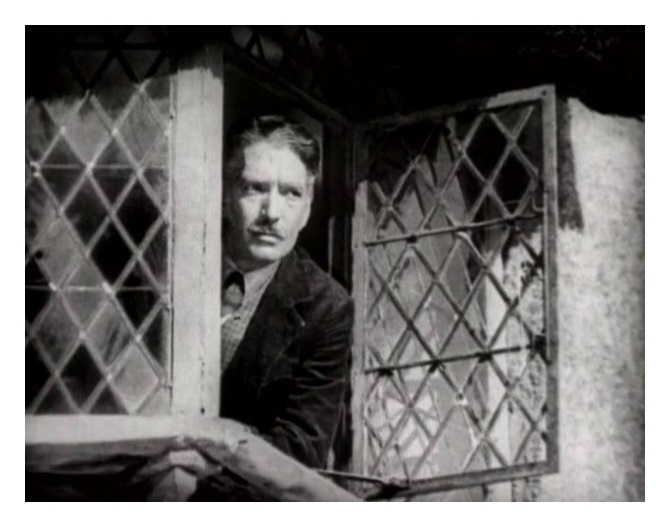 Stage plays relay on dialogue — that’s the nature of the beast — so what do you do with a play that is adapted into a movie during the silent era? Hitchcock, always the ingenious boy, works extra hard to tell the story through images. There are no inter-titles for about 8-9 minutes — the opening sequences have a nice visual texture. Hitchcock also plays with opposite ideas. For example, shots of a happy wedding are intercut with snippets of the widower’s sad, lonely existence. Hitchcock stays away from the then practice of placing the camera at a distance that mimics the point of view of a theatergoer. Hitchcock either goes for long shots or brings the camera into the action, close but not close enough to be considered a close-up. Unless you watch a lot of silent movies, you’ll probably won’t be able to notice these little touches. Hitchcock is moving cinema forward without even knowing it. I also liked how sexual innuendos (“you’ll only feel the velvet glove and never know I was breaking you in”) are spread throughout the film. 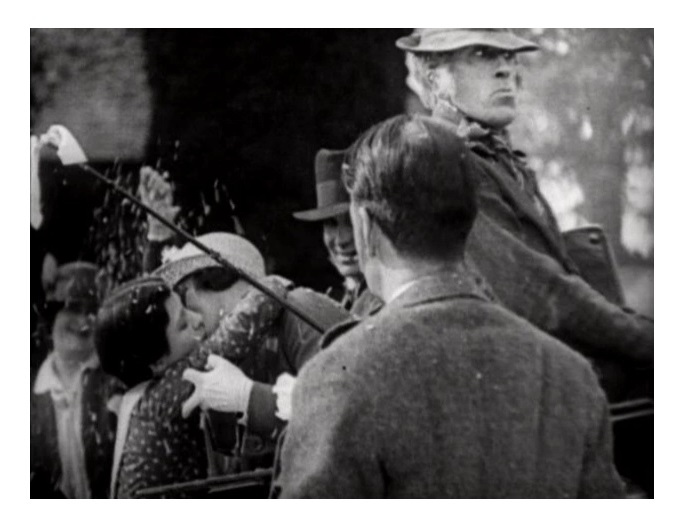 It’s all very subtle and I’m sure Hitchcock enjoyed inserting these bits of naughtiness into the narrative — this is one way the director defied strict moral standards of the Jazz Age time period. The acting is good too. Jameson Thomas and Lillian Hall-Davis give fine dramatic performances. Gordon Harker (Champagne) provides good comic relief as the grumpy servant Churdles Ash. The cast also includes Gibb McLaughlin as Henry Coaker, Louie Pounds as Widow Windeatt, and Maud Gill as Thirza Tapper. The Farmer’s Wife is lesser Hitchcock, no doubts about it. It’s definitely his weakest movie up to this point. However, it’s well-staged, and entertaining. And it is filled with humor and tenderness. B&W, 127 minutes, Not Rated. Nice post, Eric. You taught me something new today. Early Hitch I’m not too aware of. This looks good to me. Thanks, Cindy! Hope you enjoy it when you get to watch it.